Spanish rice, also known as Mexican rice, is a common side dish in northern Mexico. This always savory (and sometimes spicy) side dish is also popular outside of Mexico, especially in the Southwestern United States. The names Spanish rice and Mexican rice imply the same dish, although this recipe is not part of Spain's cuisine. 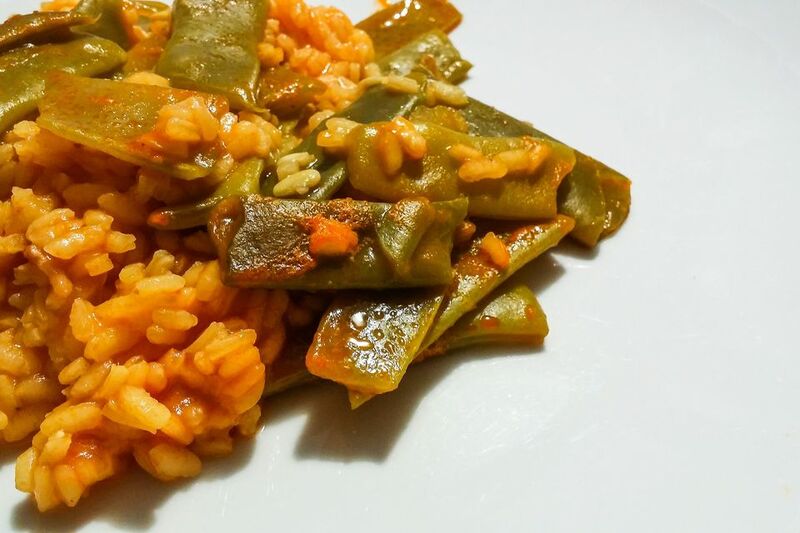 While there's no clear story as to why some people refer to this tomato-flavored rice as Spanish rice (even though this exact dish is not prepared in Spain), there are some very good indications how it came to be known as such. Rice is not native to Mexico and was brought over in the 1500s when Spain started their invasion. The Spaniards began to import cattle, pigs, goats, and chickens. As the Spaniards continued their travels around the world, they visited Asia, and from there they brought back wheat and rice to Mexico. Since the Spanish originally introduced rice to Mexico, it makes sense that a traditional rice dish would be called "Spanish rice." Another theory is that because Mexicans speak Spanish and make this rice dish, the country's language became incorporated into the name. In Mexico, different regions serve rice in different ways. If you order rice in northern Mexico, you most likely will get rice cooked with chicken broth and tomato flavors—traditional Mexican (or Spanish) rice. However, in southern Mexico, ​plain white rice is more common. But since adding the broth, tomato, onion, and garlic is the Mexican way to add flavor to rice, calling the dish "Mexican rice" indicates rice that is made in the Mexican style. However, in Mexico, it isn't referred to as Spanish or Mexican rice at all but simply arroz (rice) or arroz rojo (red rice). Spanish or Mexican rice is made by browning white rice in fat, such as lard or cooking oil. Onions and garlic are added for flavor while the rice is browning. After the rice begins to turn opaque and golden brown, it is brought to a simmer in a combination of chicken broth and tomato flavoring, which can be tomato sauce, paste, salsa, or bullion. Parsley can be added for a little color but does not change the taste very much. Cilantro, on the other hand, adds a very unique flavor and can be substituted for parsley or added in addition as a complimentary fresh herb. Cumin, oregano, cayenne, and chili powder are seasonings often used in the dish. Sometimes vegetables are added such as chiles, corn, peas, bell peppers, or carrots. Mexican rice makes a nice compliment to any Mexican bean dish; its most popular pairing is refried beans. It's also served with Mexican main dishes like carne asada, picadillo, tacos, and many more. It is very easy to make your own Spanish or Mexican rice, from a Spanish rice with ground beef to a quick and easy Mexican rice.